Join Kitty, Wendy and Kristi for this beloved performance. These ladies are all veteran performers, having worked in Las Vegas, Los Angeles and Palm Springs in the most prestigious venues. 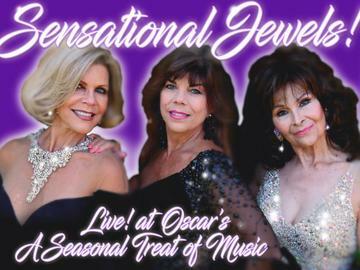 They formed "The Sensational Jewels" a few years ago in Palm Springs and have wowed audiences with their show ever since. "The Jewels" is the "must see" show in the Desert. All live singing, with impersonations and group numbers.